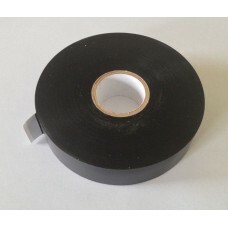 We have a large stock of 25mm wide black PVC Electrical Tape which is to a high industrial standard at 190 Micron thick (instead of 11 Micron of the standard tape) on 40m rolls. Breakdown voltage of single layer greater than 5,000 Volts DC. Buy direct at a much better price than your local hardware store or for the bulk purchasers for industrial use at a far more competitive price than the current market price.